Is Google focusing on Chrome OS? 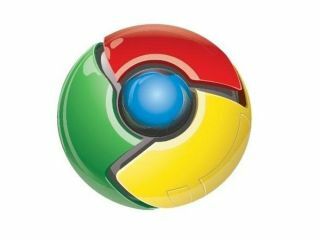 Chrome 8 has arrived, but the lack of fanfare from Google suggests that the company is already looking ahead to its Chrome OS launch rather than choosing to trumpet about the latest release of its browser. Chrome 8 brings a built in PDF viewer and, we think, will support the Chrome Web Store. But after the low-key announcement, it's not hard to come to the conclusion that Google are thinking about Chrome OS, rather than merely the browser, and don't want to 'over-Chrome'. The latest stable Chrome 8 browser brings a host of big fixes – more than 800 in fact. "The Chrome team is happy to announce our latest Stable release, 8.0.552.215," Google's Jason Kersey announced in its Google Chrome blog. "In addition to the over 800 bug fixes and stability improvements, Chrome 8 now contains a built in PDF viewer that is secured in Chrome's sandbox. "As always, it also contains our latest security fixes, listed below. This release will also be posted to the Beta Channel."